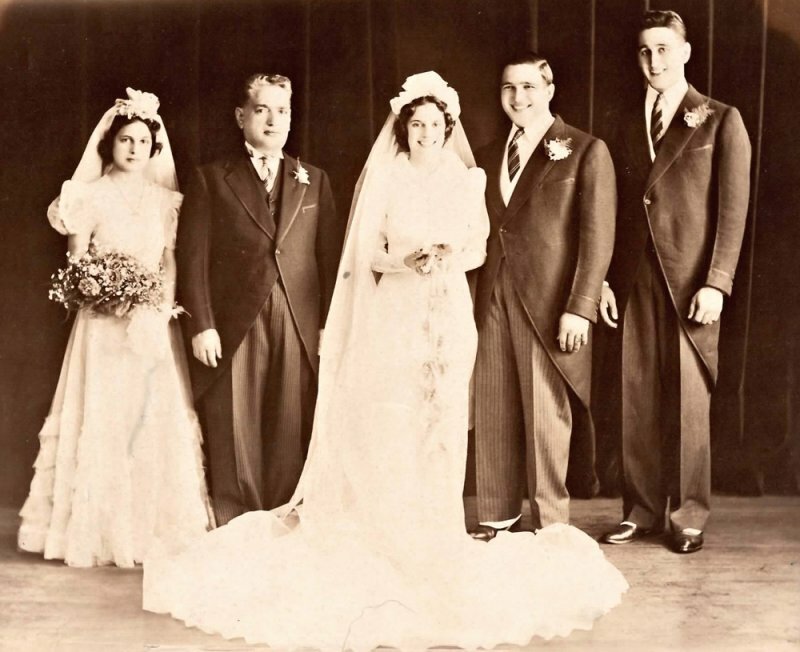 Tom, That is my mother and grandfather at the left end of photo, and it is my Aunt Gilda's wedding. She was a wonderful person and had six kids who ended up being some of my best friends! This is a very lovely Wedding picture with a very pretty bride! Hope all their dreams came true!V!